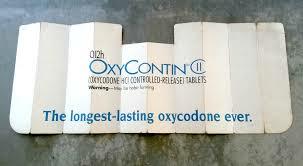 This week, the New York Times reported on the sordid background of how the Sackler family, owners of Purdue Pharma and the makers of OxyContin, exerted their ill will on the opportunity to profit off of an opioid crisis they helped bring about. First sell the addiction, and then sell the antidote. While anyone reading this would have a hard time disagreeing with the immorality of such a ploy, the incidence reveals an underlying truth that is often eclipsed by the scandals one can readily find at hand: America is a nation in pain. Pain—whether physical or psychic (there is a connection)—is very real. It comes with the cost of being human. To live is to be in pain, whether we are talking about muscle soreness from a workout, the common headache, or the intractable agony of unresolved back pain or bone-breaking chronic pain from tragic accidents. There have been some attempts to quantify the pain industry. And I’m not talking about the ubiquitous Wong-Baker scale of cartoon faces asking you to select the expression that bests represents your level pain. I’m talking about the medications, surgeries, radiological tests, patches, antidepressants and so on. If you add up all of the estimates, we’re looking at hundreds of billions of dollars that dwarf the economies of countries the size of Belgium. There is even a medical job dedicated to the challenge: Pain Specialist. Pain, as we all know it, is the body’s way of alerting us that something is wrong. But why is something almost always wrong? And what does this heightened vulnerability to pain say about us as a society? Richard Wright, the mid-20th-century writer, authored a grim story called American Hunger. While dealing with the inequities of racism and even capitalism, the title belies a deeper implication that there is a state of essential longing in America—an insatiable appetite for something so self-defeating that it calls into question the essential fabric of our societal structure and its tenets. Is pain a necessary byproduct of our way of life? It would explain the conundrum of our current situation. There’s the legitimate—yes it is legitimate—situation where someone is in so much chronic pain that they can’t abide living without strong medications like opioids. This scenario is on the surface of all debates about the evils of opioids. What are doctors supposed to do, let these people suffer? And then there is psychic pain other than a mental illness, a yen for a way out of a societal system that compels people to seek relief from daily living. Such a longing is ever-present, yet also unexamined in the debate about how to resolve the opioid crisis. A great minority of our population is sick with the fallout of a false promise that’s embedded in the American dream: happiness is guaranteed. If you live here and just work hard, you can rise up and achieve a state of bliss unattainable in other countries. It’s not surprising, then, that being duped by the propaganda is so disheartening that one wants to retreat from the nightmare into a drugged existence. And this is essentially my point: a sizable proportion of the pain suffered by people in our country cannot be treated by medication. Such a dismal state doesn’t even constitute a medical condition, akin to regret, mourning and fear. Exploiting such a dynamic is what’s at the heart of why the Sackler family is so repugnant, why the opioid epidemic is so deep-rooted, and why we cannot legislate our way out of it. In order to solve the opioid crisis, we need a fundamental revisiting of the false promises perpetrated by our socio-economic system. Back in the 90’s, when I was working on branding Vioxx, the marketers from Merck posed an ambition for the drug that was admirable: envisioning a world without pain. Of course they were talking about anti-inflammatory pain and the promise of a new class of analgesics, the Cox-2 inhibitors. This was supposed to be the advent of a new era where chronic pain could be mitigated without the deleterious side effect of gastric bleeding. And on that it succeeded very well. The eventual reality that Vioxx was also found to increase the risk of cardiovascular events exists as a metaphor for the opioid crisis. As much as we’d like to believe that drugs could alleviate all life’s problems, our naïve hopes precipitate the same false promise of the American Dream. And that just can’t be treated pharmaceutically. Opioids are not the problem. Opioids reveal the problem: the forces that cause us the deepest kind of psychic pain are part of our way of life. Watching our Congress ideate how to get us out of this mess is depressing given the fact that they uphold a state of government that’s contagious with longing. If this blindness continues to exist, there is no antidote to what ails us, to what keeps us constantly in pain. There’s an epidemic all right. It’s called wishful thinking.